Sri Lankan Migrant workers who contribute to the majority of our foreign exchange earnings over the years have been disenfranchised with very little say in how governments use their money. 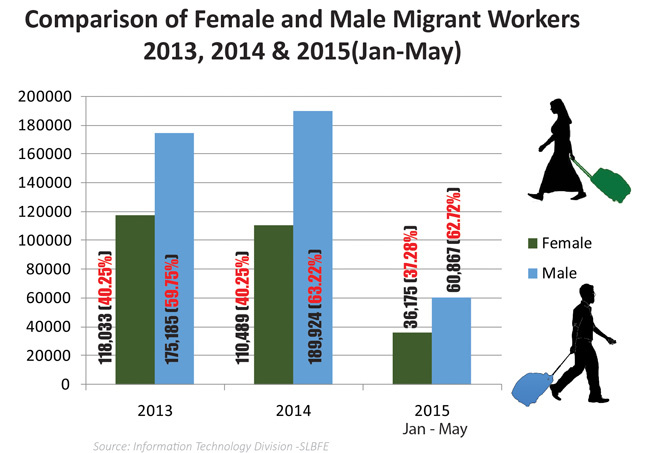 According to recent estimates, close to 3 million Sri Lankans work and live abroad. This number thus can be a crucial vote base at any election. Five months ago, the Parliamentary sessions in April, unanimously appointed a Parliamentary Select Committee (PSC) to recognise migrant workers in the electoral process. JVP MP Sunil Handunnetti moved the motion seeking Parliamentary approval for the appointment of the PSC. The motion was passed by the House unanimously and signed by 23 parliamentarians. 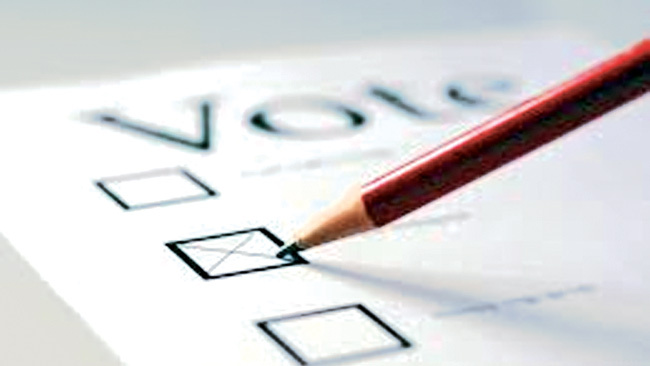 The motion stated that the right to exercise one’s franchise was a fundamental right of Sri Lankans. Since this momentous occasision however, the PSC has not convened a meeting once and neither were any members appointed to this PSC. The Elections Commission meanwhile, claimed that they cannot take any measures to tackle the problem as they do not have legal authority to do so. “Sri Lankans who are employed overseas have not had the opportunity to exercise their franchise in local elections till now,” said Handunnetti and added that the solution to the problem was not far away. “We have forwarded the Order Paper with the motion to the Speaker but the Speaker has not appointed a Chairman or a Committee. We are yet to hear from them,” he explained. Even though the government has taken a step forward to enable voting rights for migrants, the PSC has to be convened to take necessary measures, said the JVP MP. The Centre for Monitoring Election Violence (CMEV) has also sent a letter to the Speaker of Parliament, Karu Jayasuriya to take necessary measures to ensure that the PSC attends to its mandate and have it convened with immediate effect. National Co-ordinator - CMEV, Manjula Gajanayake asked that the Committee take action and attend to its functions and that this would have a critical impact on the recently initiated process of formulating electoral reforms. When Daily News contacted Speaker Karu Jayasuriya on the state of the PSC, he said that internal discussions were taking place regarding the appointment of the PSC in order to formulate mechanisms to provide voting rights to the migrant workers. “The parties have been asked to nominate the members to form the PSC and currently we are discussing the possible names,” said the Speaker and assured that they have taken necessary steps and that the PSC would be appointed shortly. According to the former member of the Sri Lanka Human Rights Commission Dr Prathiba Mahanamahewa, the right to vote was a fundamental right and it was only this that could provide the migrant workers with the right to demand better welfare. “It is very unfair to claim that it is a democratic country when a large number of citizens are working abroad and they don’t get to have a say in their home country’s government formation. Moreover, the migrant workers play a vital role in the home country’s economy through remittances,” he said. M. Zulfic a migrant worker in Quatar welcomed the move of the government to appoint a PSC and expressed disappointment over being unable to utilise his voting rights. He added that the PSC should find an effective mechanism to provide us the opportunity to have a say in our home country elections. “I have been working in Quatar for the past 15 years and I never got a chance to vote. Though we call ourselves proud Sri Lankans, we don’t have the opportunity to vote. It is only by voting that we voice our opinion and get to choose the deserving candidate,” he said. The Universal Declaration of Human Rights (UDHR), the International Covenant on Civil and Political Rights (CCPR) and the International Covenant on the Protection of Migrant Workers and their families (ICMW) all guarantee the voting rights of migrant workers, said Dr Mahanamahewa. “Voting is a fundamental right of citizens in a country. There are many dual-citizens permanently residing in many countries and even they have no access to cast their vote from abroad. If the migrant workers are granted voting rights and an effective mechanism found to conduct voting overseas, politicians would think about how they would canvas in those countries. That could be one of the reasons for some politicians to oppose the measures taken to grant them voting rights,” he said. Despite the Elections Commission being adamant in their stance that there was no legal provision to enable voting rights for migrant workers, Dr Mahanamahewa pointed out that there was no legal barrier to provide voting rights for the migrant workers. “The Elections Commission does not have the authority to take measures to grant voting rights for the migrant workers as it not allowed by the law,” Deputy Election Commissioner M.M Mohammed said. He added that the PSC should take necessary steps to amend the existing election laws that can give them access to proxy, on-line or postal voting rights. “All registered voters should be given the opportunity to vote whether they reside within the country or out,” said Mohamed. The Universal Declaration of Human Rights (UDHR), International Covenant on Civil and Political Rights (CCPR) and the International Covenant on the Protection of Migrant Workers and their families (ICMW) have guaranteed the voting rights of migrant workers said Dr Mahanamahewa pointing out that there is no international barrier in granting the rights. The Sri Lankan law does not specifically restrict from granting voting rights for the citizens residing out of the country. Therefore the relevant authorities can take measures to grant them the rights, he added. “The International Convention on protection of the Rights of all Migrant Workers and Members of their Families, ratified by Sri Lanka in 1996 clearly states that they shall have the right to participate in public affairs of their state of origin and to vote and to be elected at elections of that state in accordance with its legislation. The State concerned shall as appropriate and in accordance with their legislation facilitate the exercise of these rights,” said Gajanayake. He also said that Article (14) of the Constitution stated that the franchise shall be excisable at the election of the President of the Republic, the Members of Parliament and at every Referendum by every citizen who has attained the age of 18 years. According to Dr Mahanamahewa, conducting elections out of the country is not a new practice and that many foreign embassies in Sri Lanka practiced this method when General elections are conducted in their home countries. Suggesting few methods to conduct the elections in foreign countries, he said that a ballot box could be placed in the relevant embassy or Councilor General’s Office on the election date. If the migrant worker is living in faraway areas, then the Foreign Ministry of Sri Lanka can negotiate with the employer and request to grant them a few hours in order to cast their vote. If not the migrant employee can give proxy rights to another to cast his vote in his absence. He further added that the vote can be cast by a more protected e-mail sent to the Elections Commission Department or a secured web portal can be created in the Election Commissioners Department to cast his vote. A large number of migrant workers abroad however are women with very little access to technology or freedom of movement. Given the various cultural barriers present in many of the Middle Eastern countries, where most women head to work, any voting system abroad would need to ensure that it is easily accessible and simple to use. 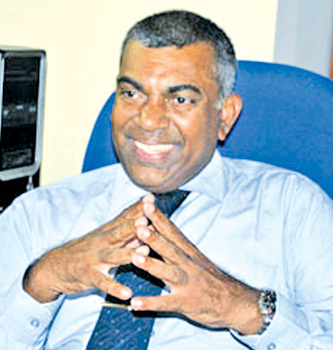 “When a nation has a large diaspora population compared to the domestic population, the diaspora can have a more substantial influence over electoral results,” said Gajanayake. He recommended that the measures should not be introduced in a hurry as the foreign service of the country was politicised and that not all facilities to conduct an election in a foreign country were available. “The Parliamentary Selective Committee should come up with proposals and reveal it to the public. The interested organisations also will provide their recommendations. The Committee should link with the Elections Commission and Human Rights Commission to introduce a suitable mechanism,” he emphasized. Dr Mahanamahewa requested the PSC to formulate a pilot project first to enable every citizen residing in foreign countries to exercise their voting rights before any laws policies could be rolled out en masse.